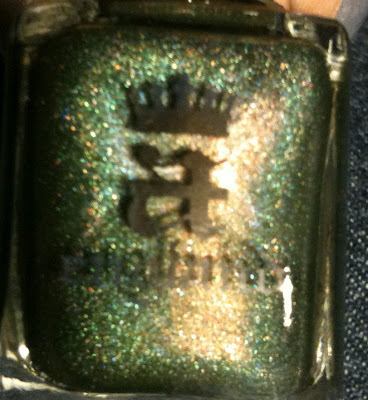 a-England is a polish brand out of England itself that is quickly becoming known for it's fantastic formula and amazing colours. I've yet to try my bottles from the new The Legend collection, but today it was finally introduced to the website to go along with a-England's first collection The Mythicals. Both collections have a theme from English history tales the first being centred around Camelot and now The Legend being about St. George and the Dragon. 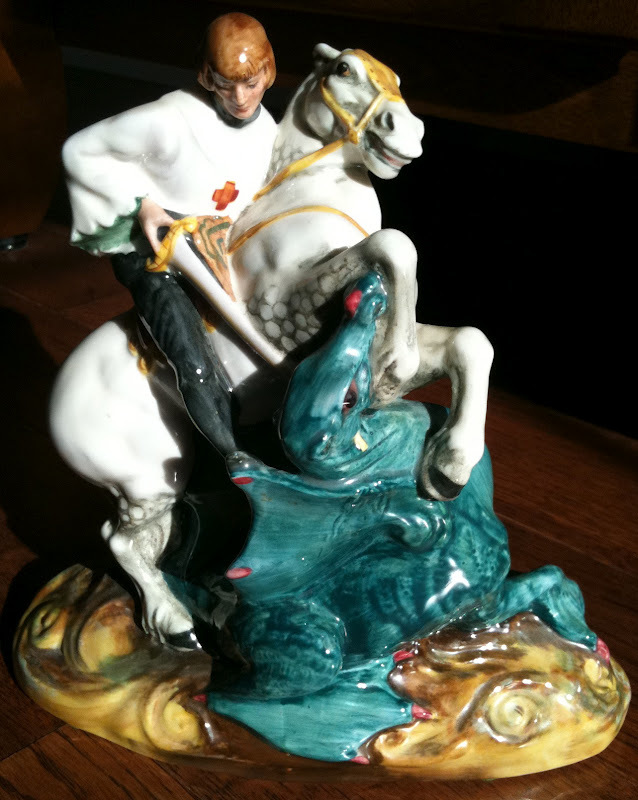 St. George and the Dragon is a story close to my heart as my grandmother (who passed away about a year and a half ago sadly) was the one who originally told me about the story, as she had a beautiful figurine that depicted it. I've pictured it above. For those of you who don't know the basis of the story is that St. George slayed a dragon saving a princess and the surrounding towns from its hunger. When my grandmother died I received the statue as I've always loved it so needless to say this collection really caught my eye! The three polishes I received from my pre-order are Dragon, Ascalon (the name of St. George's sword) and Saint George. 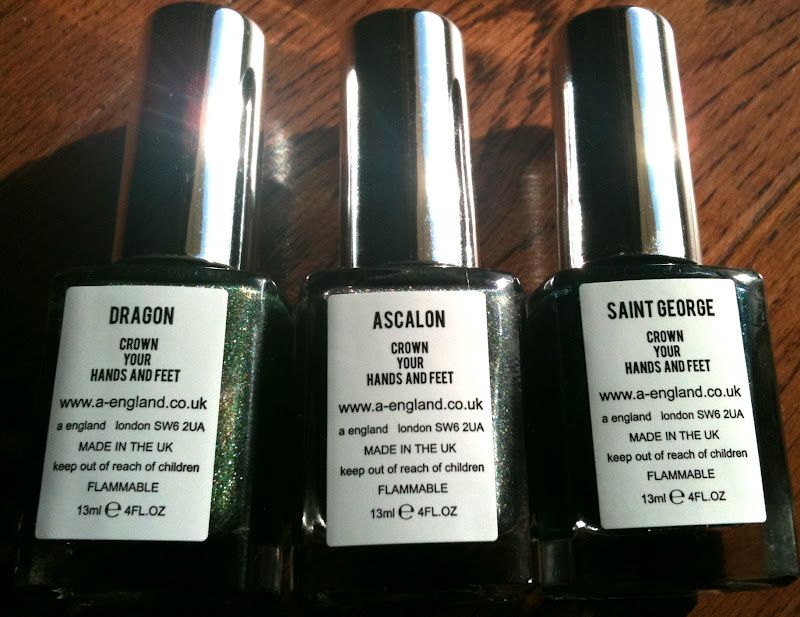 All three are amazing holographics with rich colour and two (Dragon and Ascalon) are also duochromes on top of that! So excited! 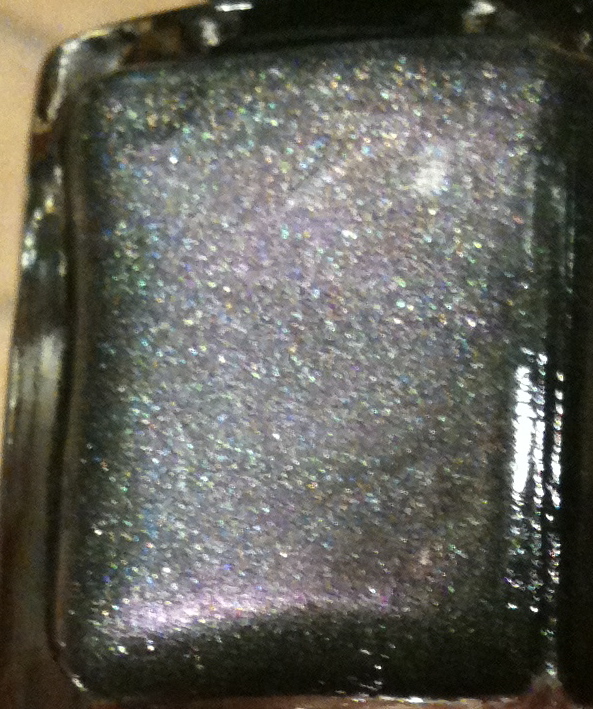 Heres some more pictures of the bottles. So upcoming in the next couple of weeks, I'll be having some posts that review and feature these little gems. P.S. I'd also like to mention how fabulous Adina the owner and creator of these polishes is. She was so sweet and helpful, plus they shipped crazy fast (only ONE week to get across the ocean to me!). 5 stars for customer service. Can't wait for swatches! These look so pretty! Holographic and duochrome?! YES! Very cool you ended up with your grandmothers figurine! Thanks so much Peach! I agree I was so happy that I got to keep the Saint George statue. 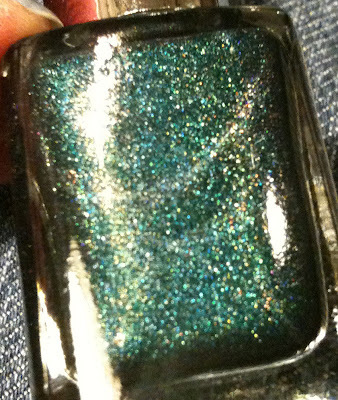 I'm loving the polishes so far- hopefully that will continue through all the swatches!